You can't work around hazards for long before you realize that not all risks are created equal. 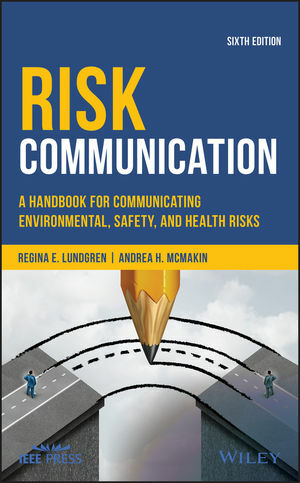 Situations, people's perceptions, and the hazards themselves combine to make risk communication a surprisingly complex undertaking. But speaking in broad terms, risk communication falls into three areas, and you can't be successful unless you know what you're dealing with. Care communication is communication about risks for which the danger and the way to manage it have already been well determined through scientific research that is accepted by most of the audience. In general, those charged with communicating have little return on investment other than the betterment of human lives. Think of the American Heart Association and local public health agencies. In care communication, the audience sometimes is unaware of the risk, or unconcerned about it, and the primary goals are to raise awareness and motivate to action. Consensus communication is risk communication to reach a decision about how the risk will be managed (prevented or mitigated). An example would be a citizen advisory panel and the owner/operator of the local landfill working together to determine how best to dispose of hazardous chemicals found at the landfill. Although many workplaces are far from a democracy, as a colleague of mine likes to remind me, worker safety committees are another form of consensus communication. As you can probably tell, consensus communication is also a subset of stakeholder participation, which encourages all those with an interest (stake) in how the risk is managed to be involved in consensus building. Often, the agency or organization with the greatest financial stake funds this process. The audience is often keenly aware of the risk in consensus communication, and the primary goals are generally to inform and encourage joint-decision-making. Crisis communication is risk communication in the face of extreme, sudden danger-an accident at an industrial plant, the impending break of an earthen dam, or the outbreak of a deadly disease. This type can include communication both during and after the emergency. Communication during planning on how to deal with potential emergencies would be either care or consensus communication, depending on how much the audience is involved. The audience becomes suddenly aware of the risk in crisis communications, so the primary goals are to inform and motivate to take safe action. + Content. Humor can work effectively to raise awareness in care communication. But it may be met with hostility in consensus communication and is usually inappropriate in crisis communication because you may be seen as making light of a difficult situation. + Timing. Care communication to motivate behavior change must be repeated, often over a long period of time. Consensus communications, likewise, may take weeks, months, or years to reach an effective agreement, depending on the complexity of the situation. Crisis communication must be immediate to save lives. + Audiences Involved. Care communication may encompass professionals and family members supporting those at risk as well as the people at risk themselves. Consensus communication may involve those at risk and those regulating the risks, whether internal or external to the organization. Research has found that in preparing for crises, and crisis communications, bringing in federal, state, and local government agencies, private industry, non-profit organizations, and faith-based organizations is most effective. Need more information on care, consensus, or crisis communications?